Millions of people suffer from recurrent and chronic UTI, many for decades without relief. Advanced UTI testing, such as the Aperiomics Next Generation Sequencing service, is starting to provide answers where traditional approaches have been unable to. 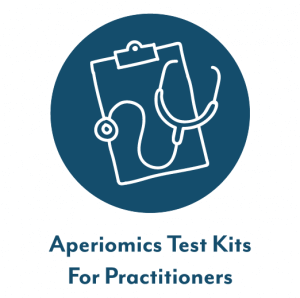 If you’ve already decided to order an Aperiomics urine test kit, you can find the right order page by clicking here for patients, and here for practitioners. If you want to learn more about it first, read on below. Why Use Advanced UTI Testing Methods? Until relatively recently, the only testing option available to most practitioners and patients was a standard urine culture test. Standard urine culture tests have been proven inaccurate, and have left many people unable to find appropriate treatment. 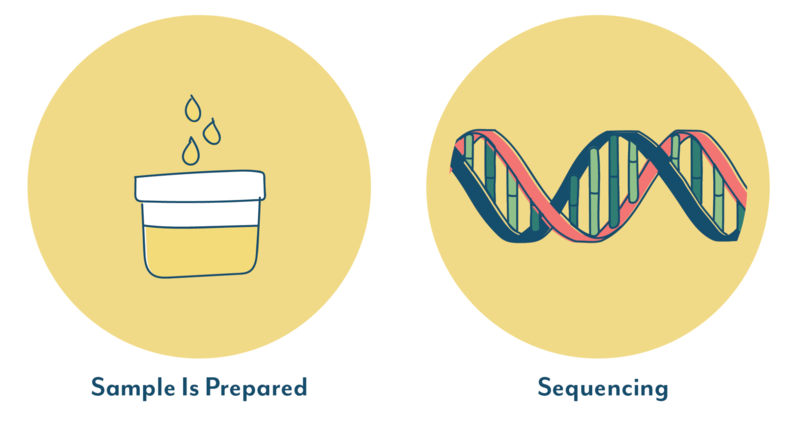 The Aperiomics Next Generation Sequencing service can identify every known bacteria, fungus, DNA virus and parasite – 90% of which cannot be identified by a standard urine culture test. Aperiomics has found microorganisms in urine samples that were never considered as potential causes of UTI, simply because it was never possible to test for them. Chronic UTI specialists have reported finding viruses in around 25% of their patients along with various types of fungus. Some patients have been living with these infections for years, and only now – with the help of advanced testing – do they have the ability to identify the cause of their symptoms. As a chronic UTI patient advocacy site, we hear countless stories from people about test results that are negative or inconclusive, despite what they describe as symptoms of a UTI. Various factors contribute to the failure to accurately diagnose a UTI, and the ineffective treatment that can follow. These include inadequate testing methods, the formation of bacterial biofilms, or intracellular communities of pathogens, and inappropriate treatment. If, like many others, you have found yourself in an ongoing cycle of ineffective antibiotics for UTIs, have received negative urine culture results despite your symptoms, or have been diagnosed with Interstitial Cystitis, the Aperiomics Next Generation Sequencing service may be a good option for you. The Aperiomics Next Generation Sequencing service uses the latest technology and a comprehensive database of microorganisms, including the world’s largest collection of pathogens. Aperiomics is the only company of its kind and scope in the world, offering Deep Metagenomic Sequencing to identify all known pathogens. If you’re a practitioner with patients who fit some or all of the points above, a Next Generation Sequencing service may help you find answers. Do We Really Know What Causes UTI And Interstitial Cystitis? The discovery that the urinary tract has a microbiome opened the door to many other discoveries, including hundreds of microorganisms residing in urinary tracts that surprised even the most knowledgeable researchers. These findings may mean the medical industry will have to shift its perspective on what causes UTI and Interstitial Cystitis (IC), and that the chart above is very likely to change dramatically. More importantly, it means many people who had previously been told they did not have an infection and could not be treated, are now healing after long term infection. Aperiomics has identified pathogens in 100% of Interstitial Cystitis and chronic UTI urine samples they have tested. In effect, by identifying the cause of infection, Aperiomics is changing a diagnosis of untreatable IC to a diagnosis of a chronic urinary tract infection that may in fact be treatable. This could make a huge difference to the lives of many sufferers of IC and chronic UTI. What Is A Next Generation Sequencing Service? The technology used by Aperiomics falls under the umbrella of a Next Generation Sequencing service (NGS), however, they are currently the only company worldwide that offers deep shotgun metagenomic sequencing. What does deep shotgun metagenomic sequencing mean? In the case of Aperiomics, it means they are able to identify every known bacteria, fungus, DNA virus and parasite. That’s more than 37,000 microorganisms. No other testing service is currently able to provide this. Of this database of 37,000+ microorganisms, around 7,500 are considered pathogenic. Other forms of urine testing can detect very few of these pathogens, and this is one of the reasons so many people receive negative test results despite their UTI symptoms. It is possible that many people who suffer from long term bladder symptoms have infections caused by uncommon pathogens that cannot be identified by standard testing. Aperiomics has already identified 3 viruses and dozens of bacteria in urine samples that are not possible to culture. What About Biofilms and Intracellular Infection? 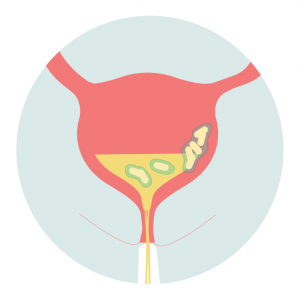 Hopefully, if you’ve come this far, you’ve done a little reading about why chronic urinary tract infections can be so difficult to detect and treat. In short, bacteria and other pathogens can form communities in the bladder, constructing a slimy biofilm that protects their community from attack. This means antibiotics and your body’s own natural defense mechanisms can find it near impossible to get through. 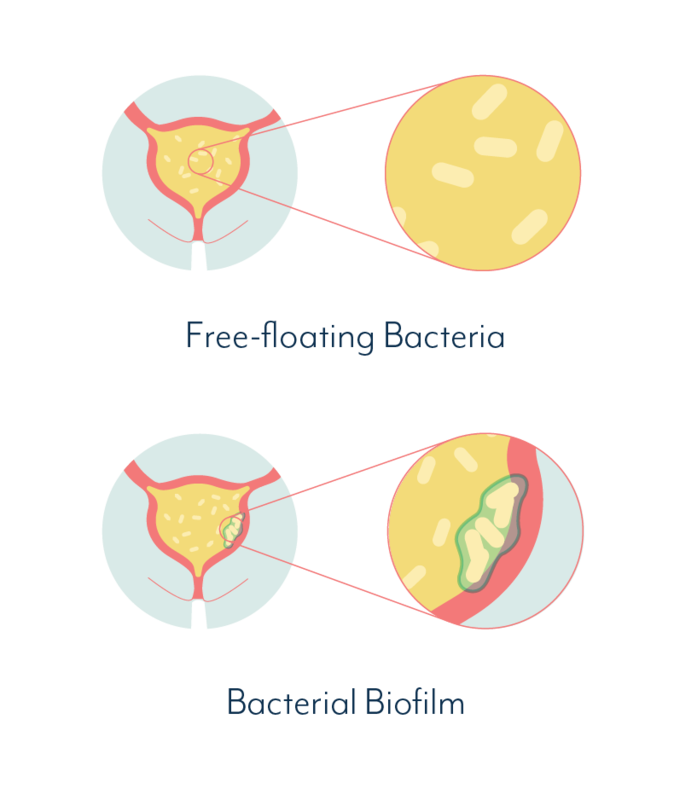 Biofilms can exist indefinitely in the bladder. These same pathogens have also been shown to live inside the cells of the bladder wall, forming intracellular bacterial communities (IBCs) which are similarly difficult to treat. As well as being difficult to treat, biofilms and IBCs are very hard to test for. It is thought that in many cases the pathogens living within these communities do not show up in standard testing methods. If pieces of the biofilm break off, or the bladder lining cells containing the pathogens are shed into the urine sample, they are still unlikely to grow in a urine culture, partly because they tend not to be in a growth state. This is where the Aperiomics Next Generation Sequencing service may provide a better solution. Through the process of sample stabilization and testing, the compounds that keep biofilms together are broken up, and 100% of the DNA present will be detected. The same goes for intracellular pathogens that are shed into the sample. As long as parts of the biofilm or infected bladder cells are contained in your urine sample, Aperiomics will be able to detect them. If your sample does not contain pieces of any biofilms present, or infected bladder lining cells, pathogens contained within them will remain undetected. If you’ve experienced multiple urinary tract infections, you’re probably familiar with the basics of standard urine culture tests. Some aspects of the Aperiomics Next Generation Sequencing service are similar – you provide a sample in a cup and you get test results – but what happens in between is very different. It sounds like a complex process because it is. But it’s also fascinating! 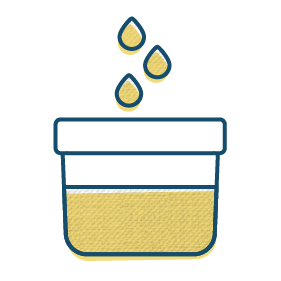 Once Aperiomics receives your urine sample, it’s checked to ensure there are no leaks, barcoded for accurate tracking, then sent directly to their lab. At the lab, they make a complete genetic fingerprint of every living creature in your sample. This is completed with deep, shotgun metagenomic sequencing technology, using Illumina sequencers. Genetic fingerprinting means your own human DNA is also identified – a terabyte of data is generated from your single sample. Before the search for urinary pathogens begins, your human DNA is removed from the data, then everything remaining is compared to the Aperiomics Microbial Database™. This is currently the most comprehensive database of microorganisms in the world. As the lab compares the data from your urine sample against the database, three quality control checks are conducted. Once the lab is satisfied with the accuracy, a report containing your test results is generated. Although medical practitioners have relied on urine culturing techniques for decades, they have never been accurate. In fact, despite its widespread use, the standard urine culture test was never intended to be used to identify lower urinary tract infections. Much has changed since this test was adopted in the 1950s. We now know that urine is not sterile. The urinary tract has its own complex microbiome, and we’re beginning to understand how bacteria and other pathogens can form communities in the bladder that are very difficult to treat. These two discoveries alone have made standard urine culture techniques obsolete, and have helped explain why some people suffer from recurrent and chronic UTIs, sometimes for their entire lives. As a result, doctors may recommend antibiotic treatment for the bacteria found, but it may not be the cause of infection. You can read more here, about why your urine culture test may be negative despite your symptoms. Metagenomic sequencing is more specific than culturing because it identifies all microorganisms present according to their genetic sequence rather than looking only for those that grow on a culture plate. PCR testing is becoming a much more familiar term among chronic UTI sufferers, as it has enabled many to identify pathogens that cannot be found using standard urine culturing techniques. So what is PCR testing and how does it compare to a Next Generation Sequencing service? PCR is a type of technology that makes many copies of a specific portion of a microorganism’s genetic information. It can be inexpensive and sensitive, but it is limited because it’s necessary to preselect which microorganisms the test looks for. This preselection of microorganisms is referred to as a PCR panel. The panel may contain anything from a handful of microorganisms up to 20 or more, depending on the test and the purpose. For a urinary tract infection, a PCR panel typically contains 12 or fewer microorganisms. This means a PCR test for urinary pathogens will specifically look for those 12 microorganisms, but will not be able to detect any others outside those 12. Because PCR creates many copies of small genetic pieces, it can be biased. It is less useful than NGS testing in assessing the abundance of microorganisms contained in the urinary microbiome. This is particularly true when compared to deep shotgun metagenomic sequencing – the type of NGS testing offered by Aperiomics. As we explained earlier in this article, deep shotgun metagenomic sequencing creates a genetic fingerprint of everything in your urine sample. It is capable of identifying tens of thousands of microorganisms in one sample. 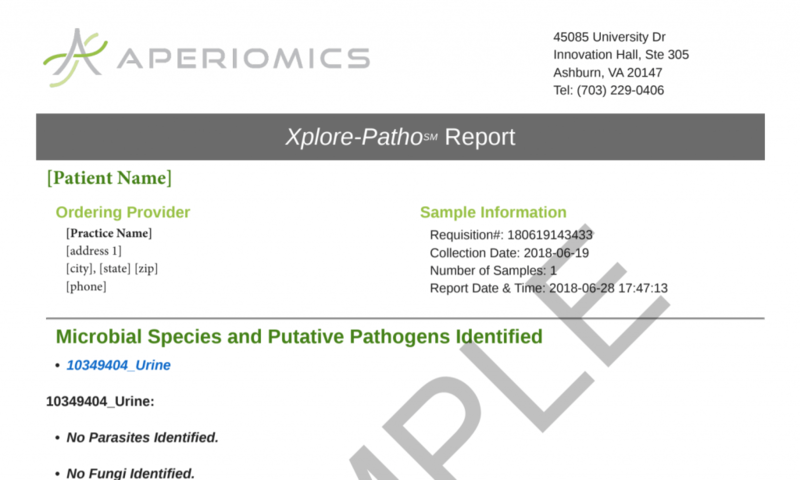 Aperiomics’ approach to deep shotgun metagenomic sequencing reduces as much bias as possible and allows an abundance of microbial populations to be assessed. The Next Generation Sequencing service most commonly offered by clinical labs is called 16S sequencing. 16S sequencing is similar to PCR in that it creates many copies of specific genetic information. These copies are then compared to a database to identify the bacteria found in your urine sample. 16S sequencing is good at identifying thousands of bacteria to the genus level, but is unable to identify viruses, fungi, or parasites. On the other hand, deep shotgun metagenomic sequencing is able to identify tens of thousands of microorganisms and differentiate species of bacteria, viruses, parasites, and fungi. 16S sequencing uses 0.0001% of the genetic information of a bacteria to make an identification, whereas deep shotgun metagenomic sequencing uses 100,000 times more genetic information to identify microbes, giving significantly more depth and specificity. In essence, deep shotgun metagenomic sequencing can provide far more detailed information than 16S or PCR technologies. Aperiomics launched their Next Generation Sequencing service in Virginia, USA, in 2014 with support from the National Science Foundation. Their mission is to change everything about how infections are identified, and to help sick patients find answers, using the newest technologies available. According to Aperiomics, standardized laboratory testing fails to identify the cause of infection up to 75% of the time. This results in millions of dollars spent each year by patients on testing that may be inaccurate or insufficient. Most labs test for just one or a handful of pathogens at a time. The Aperiomics Next Generation Sequencing service is helping to solve this problem by providing more accurate testing for microbes that can cause intestinal issues, urinary tract infections, Lyme disease and many other illnesses. To do this, they test for all known bacteria, viruses, parasites and fungi in every sample they receive. At present, this is the most comprehensive test available globally. Their intention is to help medical practitioners solve difficult medical cases, remove guesswork and limit the use of antibiotics. What Do Aperiomics Test Results Look Like? It takes about two weeks to get your results via email, once you submit a urine sample. As we’ve said many times, it’s in your best interest to work with a practitioner who can help you interpret your test results, and is familiar with treating chronic UTI. 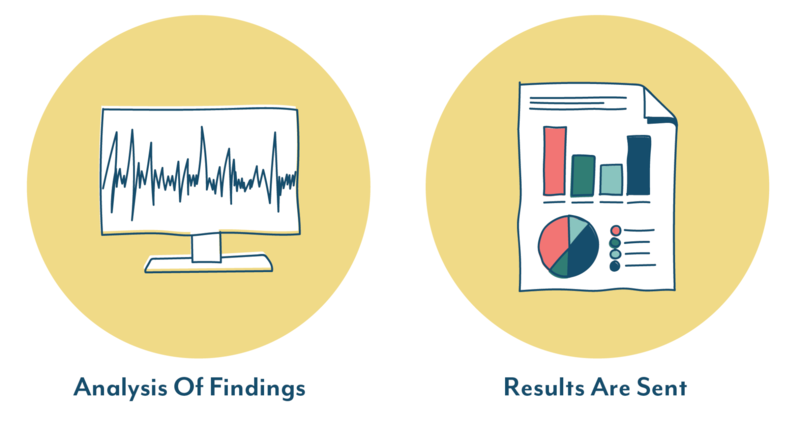 You’ll see why when you receive your Aperiomics Next Generation Sequencing service report – it’s a lot more detailed than your typical urine test results. Typically they find urine samples will contain anything from 1 to more than 50 microorganisms. Click on the image below to see a full sample report. Aperiomics test results list all known bacteria, DNA viruses, fungi or parasites found in your sample, down to the species level. Another way to look at this is that it provides a snapshot of your urinary microbiome. Bear in mind that as a breakdown of your urinary microbiome, the list includes known and potential pathogens, as well microorganisms that may be considered a healthy part of the urinary tract. So don’t panic if it looks as though your urinary tract is overflowing with microorganisms. The list can be quite long for some people, and that in itself is not something to worry about. Because the discovery of the urinary microbiome is relatively recent, researchers are still trying to get to the bottom of what should and shouldn’t be found in the urinary tract. Some microorganisms are known to be harmful in the urinary tract. Others have rarely been seen before due to testing limitations, or have been seen but have not been researched enough for us to know their role in the urinary tract. Microorganisms found are reported on your Aperiomics test results as either ‘Yes’ for known urinary pathogens, or ‘Unknown’ for those yet to be classified. Alongside each of the microorganisms listed you’ll also see a percentage. This refers to the abundance of that particular species as a fraction of your total urinary microbiome. If you really look in detail you’ll also note the numbers may not add up to 100%. Anything that has an abundance below 1% percent is not reported unless this is specifically requested. The abundance percentages can help your doctor differentiate potential symptom-causing pathogens from those that may be part of the natural balance of your microbiome. Because this type of testing is fairly new, it can be a tricky process for doctors to identify which pathogen or pathogens should be treated. It may be the case that follow up testing is recommended, to gauge the success of the chosen treatment. Many doctors are unfamiliar with a Next Generation Sequencing service for UTIs, so Aperiomics provides one-on-one support for healthcare providers to understand their reports. 1. Antibiotic sensitivity for testing methods based on DNA is predictive only. This is because DNA sequencing techniques do not grow live bacteria as urine culturing methods do. Without live colonies of bacteria it’s not possible to expose the strains found to antibiotics, to see how the bacteria react. Predictive antibiotic sensitivity means antibiotics are recommended based on known information for specific strains and resistance genes identified. 2. Multiple pathogens are likely to be identified and a single antibiotic may not suffice. Because mapping the urinary microbiome can result in a long list of known and potential pathogens, it doesn’t necessarily make sense to provide antibiotic sensitivity for the most abundant. In some cases, more than one treatment approach may be required. It takes the knowledge and experience of your doctor to understand the best course of action. Discuss with your doctor whether they have experience using a Next Generation Sequencing service for UTIs. It may be beneficial for your doctor to speak directly with Aperiomics – their team can answer any questions about the testing. Ask your doctor to order a testing kit on your behalf, or you can order one directly. You’ll receive a testing kit, either directly or via your doctor, depending how you ordered it. The kit includes instructions on how to best collect your sample, prepare it for shipping, and return it to Aperiomics. We’ve provided specific information below on how to collect a urine sample for Next Generation Sequencing. There are a few things you’ll need to consider. If you follow the instructions correctly, your sample will remain in the right condition for testing for up to 30 days at room temperature. So there’s no need to panic about shipping times. If you ordered a kit through your doctor, they may ship it on your behalf. If you ordered it directly, you can use the prepaid shipping envelope and follow the kit instructions to return your sample. See below for more information on shipping. Once Aperiomics receives your sample, it will be barcoded then put through the testing process we outlined above. They’ll test your urine for all known microorganisms, including pathogenic bacteria, viruses, fungi and parasites. Testing takes 1-2 weeks and your results will be sent to your doctor, or directly to you via email. The team at Aperiomics can help you understand your results, and will provide one-on-one support for your doctor if required. This part is up to you and your doctor. The treatment approach will differ, according to what’s found in your urine sample, and the methods used by your doctor. 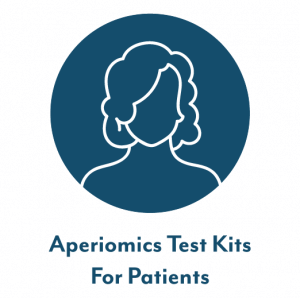 Both patients and practitioners can order testing kits directly with Aperiomics. The Aperiomics Next Generation Sequencing service provides complex data. That means it will be most beneficial if you are already working with a practitioner who understands how to interpret the results and recommend treatment based on the information provided. Aperiomics offers the only Deep Metagenomic Sequencing service that is available internationally. They can ship testing kits to most countries, and are happy to provide further information if you’re uncertain about shipping to and from your location. Each testing kit they ship comes with packaging to send your sample back, and a prepaid return shipping slip. UPS is used for US customers and DHL for international customers. Why Is It OK To Post A Sample? DNA sequencing is not the same as urine culturing. It is not essential to conduct the testing within hours of a sample being collected, and when collected correctly, there is no danger of overgrowth by potential contaminants. Aperiomics kits contain a special solution to add to your urine sample at the time of collection. When you follow the collection instructions properly, your urine sample will be rendered non-infectious. It will remain stable at room temperature for up to 30 days – plenty of time to ship it. If you can’t ship the sample immediately, there is no need to refrigerate or freeze it. The return shipping materials provided contain packaging to prevent leakage and keep your sample intact. Aperiomics provides insurance billing on a case-by-case basis for the Next Generation Sequencing service. This means they can verify on your behalf, whether your insurer will cover the cost of testing, and how much. Before ordering a test, get in touch with the Aperiomics team to discuss this. Currently, insurers provide partial to significant reimbursements for the Aperiomics Next Generation Sequencing service. In some some cases patients will only be required to pay $200 out-of-pocket per sample, plus shipping/handling charges. Self-pay pricing without insurance coverage is $1000 per sample, plus shipping. If additional testing is required – eg. samples from elsewhere in the body, or follow up testing – Aperiomics offers discounted pricing for subsequent tests. In order to make their testing accessible to anyone in need, Aperiomics accepts Flexible Spending Accounts (payment plans) and will do their best to cater to individual circumstances. If you’re based in the US you can include payment when you ship your sample back. For those based outside the US, prepayment is required prior to a testing kit being sent out. In this case, you’ll receive an invoice inviting you to pay securely online, then your kit will be shipped. As with all urine testing, any Next Generation Sequencing service relies on microorganisms being present in the sample. This may seem obvious, but if your urine sample is very diluted due to excess consumption of fluids, your results will be impacted. Taking probiotics may negatively impact your results. Some probiotics can survive through the urinary tract and may appear in your testing, skewing your results. Aperiomics recommends stopping all probiotics at least two weeks prior to submitting your urine sample for testing. Antibiotics or other antimicrobials may affect your results and should be stopped at least 3 days prior to collecting your sample. You should discuss this with your healthcare provider as it’s not always possible to cease medications. All antibiotics, medications, dietary supplements, herbs, and/or vitamins being taken when you collect your sample must be listed on the testing requisition form if they are not stopped 3 days prior. Aperiomics requests a first morning urine sample as it is typically more concentrated. The sample should be collected without stopping the stream of urine, and 90-110 ml is required. You can easily figure this out using the measurements on the side of their sample containers. Around 30-40 ml of your urine is used for the test. The rest is stored in case the test needs to be repeated. The remaining sample is discarded once your final report is approved, unless you have requested to participate in chronic UTI research. As soon as you collect your sample, add the stabilizer solution provided. There’s no need to shake or mix. Seal the sample container lid, and follow the remaining packaging instructions to ensure your sample arrives at Aperiomics intact. Aperiomics invites all patients to contribute to their research into better understanding infectious diseases. 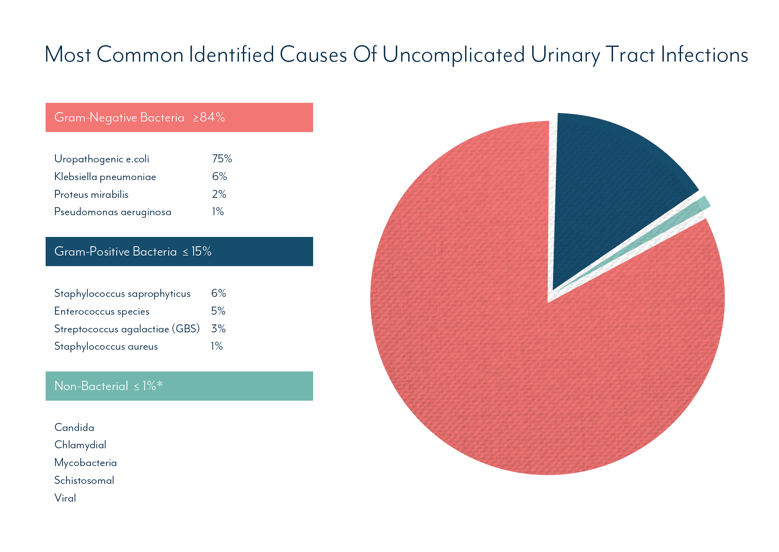 The urine samples provided by participating Interstitial Cystitis and chronic UTI patients have already allowed Aperiomics to collate data that may change the way we approach these issues. It also allows them to provide more insight for practitioners to better help their patients. Hi, I am taking the Aperiomics testing and hoping to get some much needed results. I wanted to ask do you know of any UTI specialist in Texas or just anywhere at this point! I want to make sure to follow up when I get my results to a great doctor who is willing to help me instead of just treat me! Thanks! Do you have a recommended Dr. in Nebraska? I have had persistent ecoli UTI for a year now. Since I already know what the bacteria is would this testing by helpful? It has become resistant to all but two oral antibiotics but neither of them get rid of the infection.